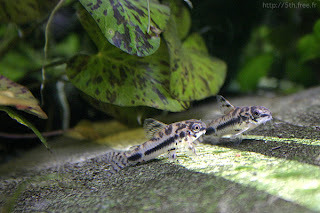 Corydoras are fun fish. We have four. They are always so busy and moving about. We don't have the salt and pepper kind though. Their markings are super. I'm going to keep an eye out for those, although I doubt I'll stumble accross any at my local fish store. That's a beautiful photo, did you take that? I just picked up 3 of these guys for my tank at work. They're so little! My oto dwarfs them in size, but I think they will grow a bit. Great article, and I hate to question, but are you sure that they get 2cm?! Thar condradicts other sites and that seems sooo tiny... I read that they get 1.5-2 inches. 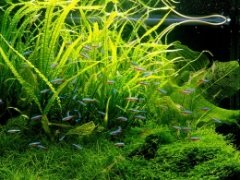 I've been trying to find small corys. These guys really only get to be 1 inch max from the research i've done. There was one site that said the could get to 1.4inches, but all other sites said 1 inch or less. Most other corys do get to be about 2 inches, but not these guys.